Transform your dinner table with the Regency fine bone china 27.5cm dinner plate. Designed and hand finished in England, this beautiful bone china dinner plate is from our Regency collection and is inspired by the classic interiors of England’s historic homes. 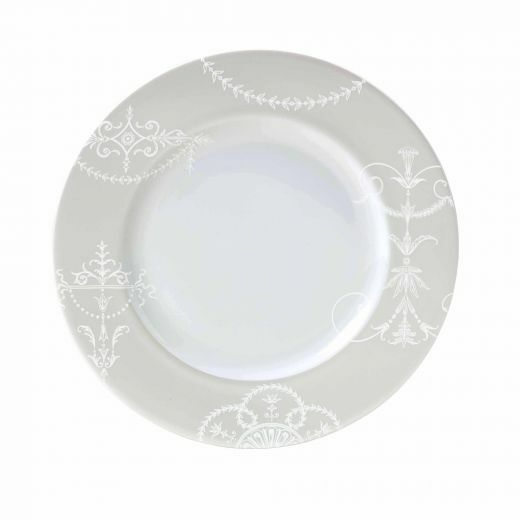 Transform your dinner table with the Regency fine bone china 27.5cm dinner plate. This beautiful bone china dinner plate is from our Regency collection, which inspired by the classic interiors of England’s historic homes. Each 27.5cm fine bone china dinner plate features hand-drawn artwork developed by the William Edwards design team in Stoke-on-Trent. Drawing on the ornate stucco plasterwork of the Regency period, the classic design of this plate will give your dining table the feel of a historic home.